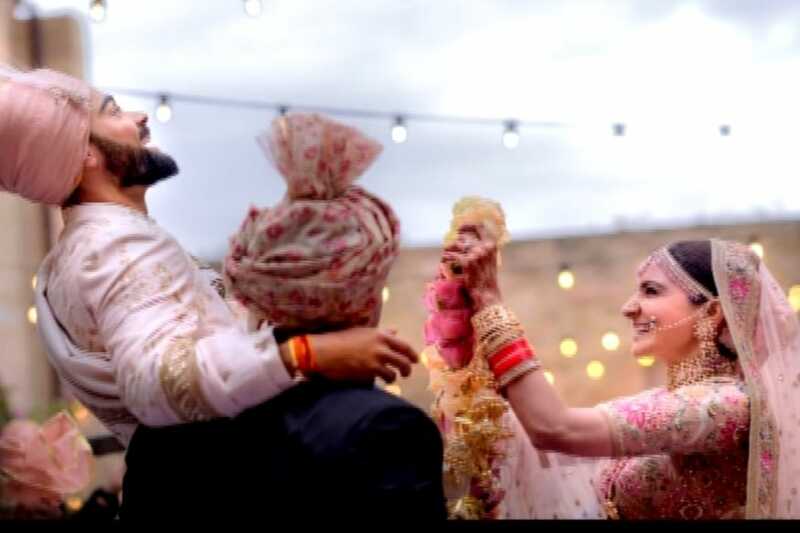 Post the wedding celebrations, the couple is expected travel to South Africa where the Indian captain will prep for the upcoming series and Anushka will spend New Year's Eve with him. Virat Kohli and Anushka Sharma's grand wedding reception at St. Regis, Mumbai, was a starry affair with several Bollywood celebrities and personalities from the world of cricket and the sports fraternity including AR Rahman, Boman Irani, MS Dhoni, Virendra Sehwag, Ravindra Jadeja, Jasprit Bumrah, Sunil Gavaskar, Saina Nehwal and others in attendance. And while everyone was dressed to the nines for the special day, the newlyweds, who hosted the lavish bash for their friends in the film and cricket fraternities, once again managed to slay it with their charming personalities, sizzling chemistry and on-point look. Virat looked dapper in an indigo bandhgala and breeches by Raghavendra Rathore, while Anushka dazzled in a 'smoky grey' shimmer lehenga by Sabyasachi. The actress, who wanted to don 'old world glamour' for her Mumbai reception, had her ethereal lehenga done in hand beaten thread and textured sequins while cut organza flowers were assembled on an embroidered tulle base to create the stunning lehenga for the diva. Anushka's reception attire also had Sabyasachi's 'Bengal tiger' belt detail. The star accessorised her look with a necklace and earrings handcrafted with rose cut diamonds, solitaires, briolettes and Japanese baroque pearls from the Sabyasachi fine jewellery collection. The couple, who took the Internet when they announced their 'secret' Tuscan wedding together on social media, have been giving some serious wedding fashion inspiration right from their designer wedding outfit to their engagement, mehendi and Delhi reception attires. At their Delhi reception, both Anushka and Virat looked like a royal Indian couple sporting traditional attires. 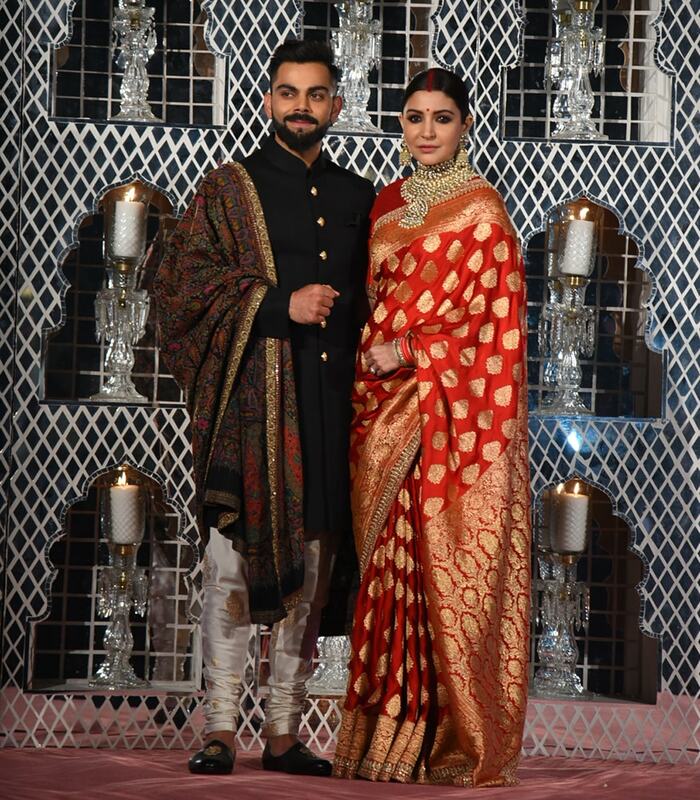 While Anushka flaunted a red Benarasi saree in style, Virat looked suave in a black textured bandhgala, courtesy Sabyasachi. 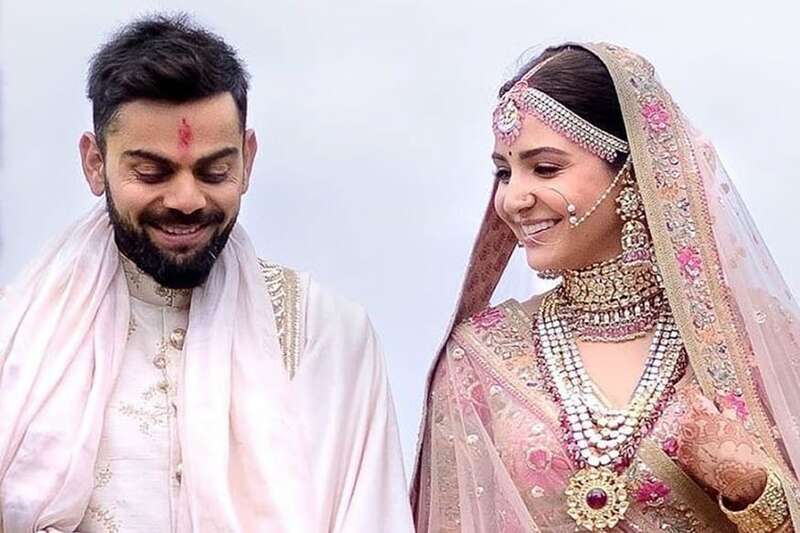 For the wedding, while Anushka looked like a modern-day princess in a 'pale pink lehenga with Renaissance embroidery in vintage English colours embellished with silver-gold metal thread, pearls and beads teamed with bridal jewelry handcrafted with syndicate uncut diamonds, pale pink spinel and baroque Japanese cultured pearls by the Sabyasachi 'Heritage Jewelry collection', Virat was the royal Indian groom dressed in an 'ivory raw silk sherwani hand-embroidered in a vintage Benarasi pattern and signature house buttons with an old rose silk kota safa'. Anushka showed off her love for sarees at her engagement ceremony. The actress opted for a signature Sabyasachi gulkand burgundy velvet saree which was 'hand-embroidered using miniature pearls and the finest quality zardosi and marori'. The Phillauri star teamed at beautiful ensemble with a stunning uncut diamond and pearl choker with matching studs. 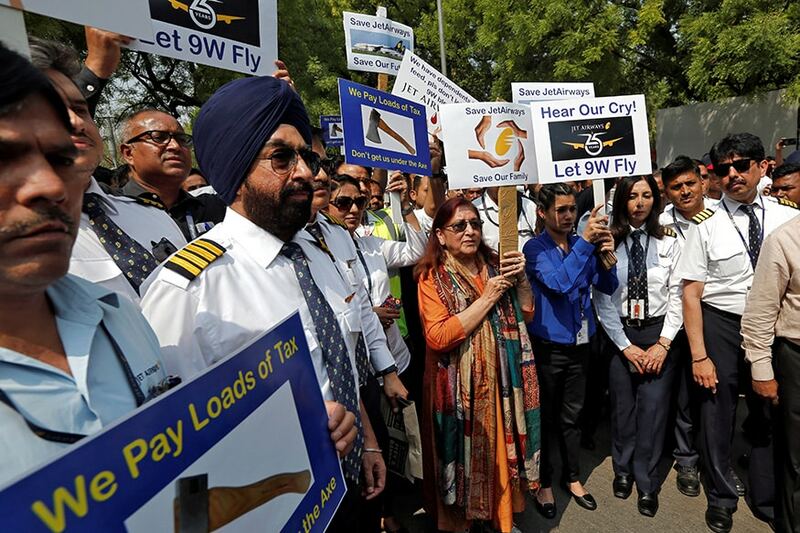 She completed the look with kohl-rimmed eyes, red roses and a bindi. Virat too looked dapper in a royal blue suit which he teamed with a crisp white shirt, black waistcoat and a grey tie. For mehendi, both the bride and the groom went all out on colors. Anushka donned a boho look full of bright colours including hot pink. The designer especially crafted a graphic lehenga in fuchsia pink and Indian orange, hand-printed by the famed Calcutta block printers and hand-embroidered with gota and marori. 'Artists from The Sabyasachi Art Foundation rendered a beautiful sixties pop print and it was silk screen printed, hand woven Indian silk'. The beautiful bride opted for a pair of jhumkas crafted in 22k gold with Iranian turquoise, tourmalines, uncut diamonds and Japanese cultured pearls, custom juttis in hand woven brocade and zardosi, to complete the look. 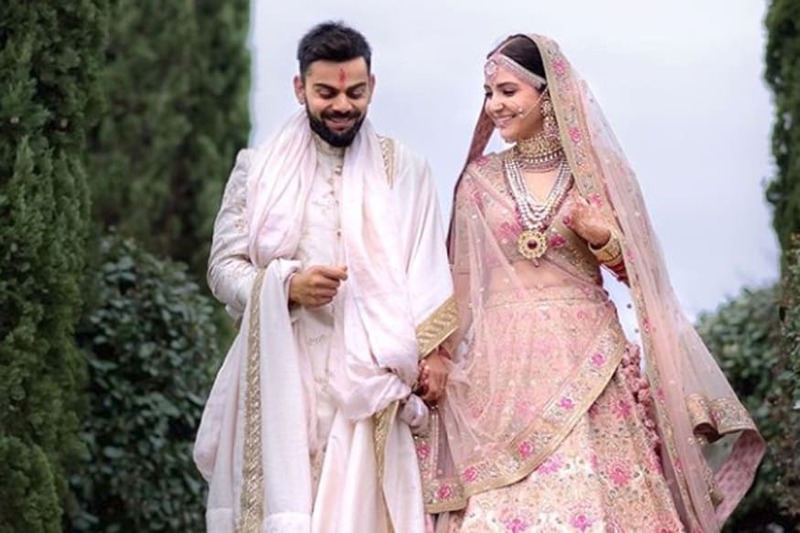 Virat chose a 'signature khadi kurta churidaar with Sabyasachi's classic fuchsia pink textured silk Nehru jacket detailed. A custom tan leather jutti with a zardosi crest was created for the ensemble'.